Commonwealth Stadium is home to the University of Kentucky’s football team. 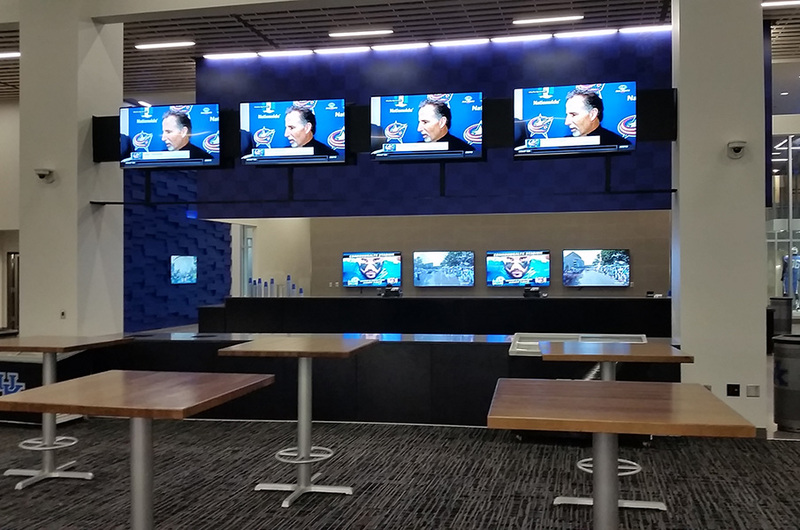 In October 2015, the University completed a $120M renovation that included the installation of a CastNET Sports Solutions digital signage system by Alpha Video Sports & Entertainment, a division of Alpha Video & Audio, Inc. The objectives for the CastNET system were to improve the fan experience, increase revenue for the university, and increase safety. 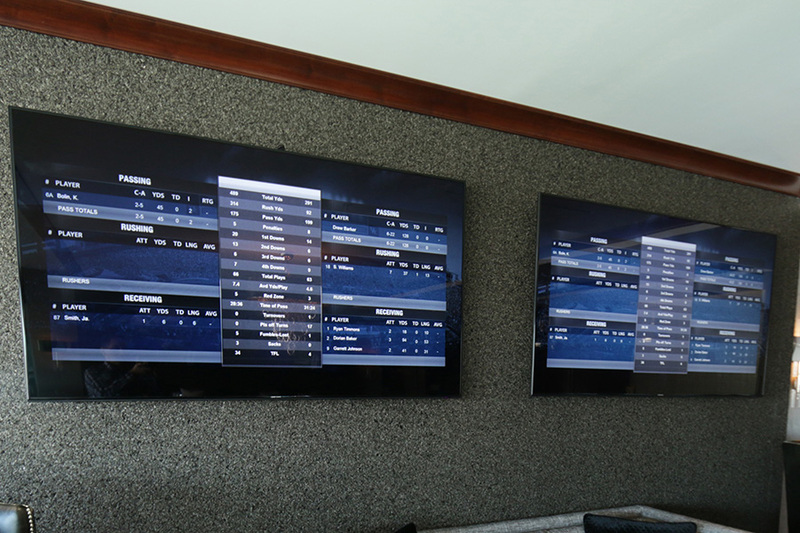 CastNET provides real-time data integration with the Daktronics scoreboard so that scoreboard data can be shown immediately on stadium screens. CastNET StatsView is integrated with Stat Crew Software so that live game day statistics can be shown on stadium screens. CastNET is integrated with a closed captioning system to comply with recent ADA rulings. CastNET developed a CastNET Game Day Controller so that a tablet can easily control the entire IPTV distribution and digital signage system. Touch screen tablets using CastNET SuiteView remotely control the screens in the executive suites and lounges. 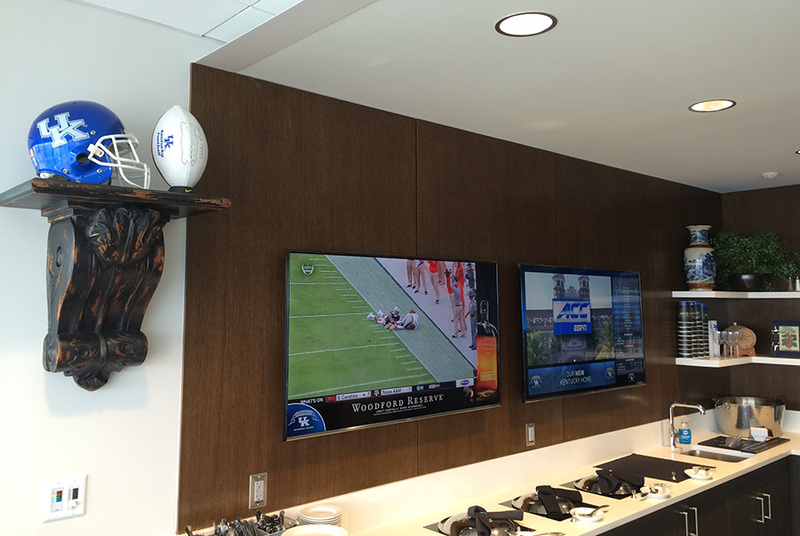 The system provides access to 32 cable channels from Time-Warner and fourteen digital signage channels. 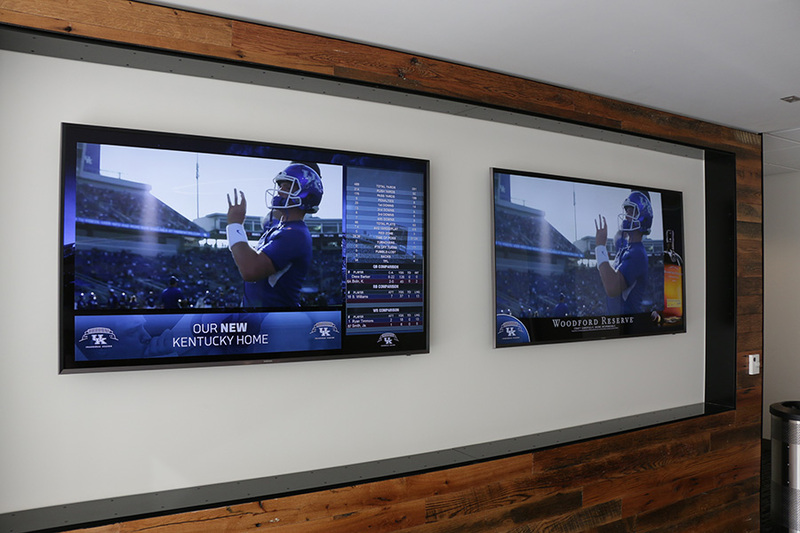 A total of 563 new Samsung screens were installed by Alpha Video Sports in half of the stadium. One significant challenge was that the new CastNET IPTV system architecture and new Samsung monitors are installed in only the home team half of the stadium. The rest of the stadium’s monitors on the visitor side are using an existing RF system architecture. The CastNET Sports installation needed to be flexible enough to support both sides. The remaining half of the stadium will be upgraded in the summer of 2016. Another challenge is that most screens are in public spaces and are subject to accidents, tampering, or abuse. CastNET developed a trouble-shooting dashboard to quickly identify and respond to non-functioning screens. CastNET’s Game Day Support supplied one technician to be on-site during every home football game during the 2015 season to respond and fix non-functioning screens. 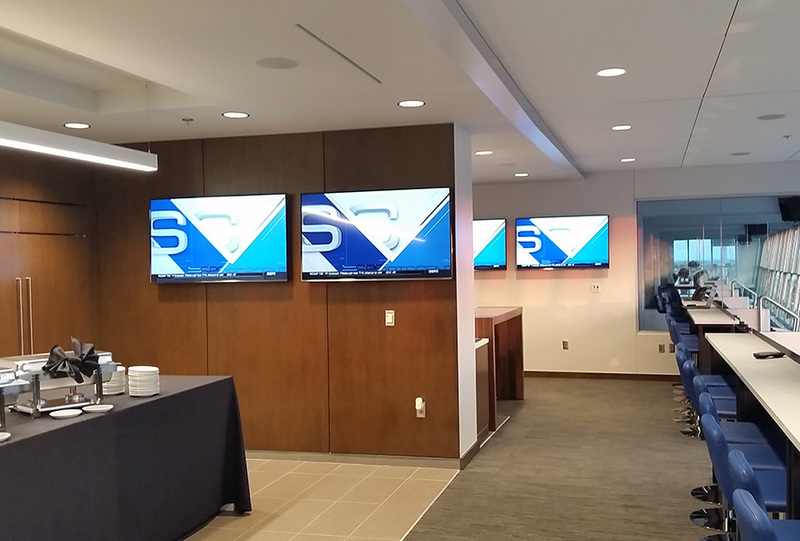 Two significant services offered by Alpha Video were instrumental in making this installation a success. One was the consulting services provide by the Alpha Video Sports and CastNET technical teams to design a network that supported the IPTV system architecture along with the existing RF architecture. The second service was provided by CastNET’s creative team who designed customized digital signage templates and digital signage advertising content that are used throughout the stadium.